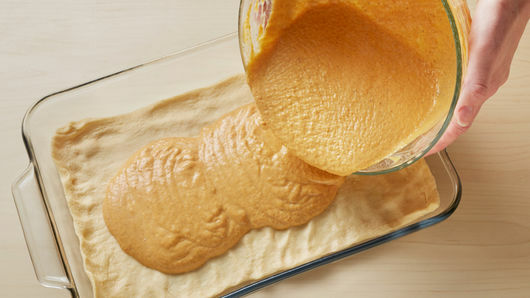 In medium bowl, beat remaining Pumpkin Bar ingredients with whisk; pour onto crescent crust. In medium bowl, beat Cheesecake Swirl ingredients with electric mixer on medium speed until well mixed. Spoon tablespoonfuls of cheesecake filling on top of pumpkin mixture. 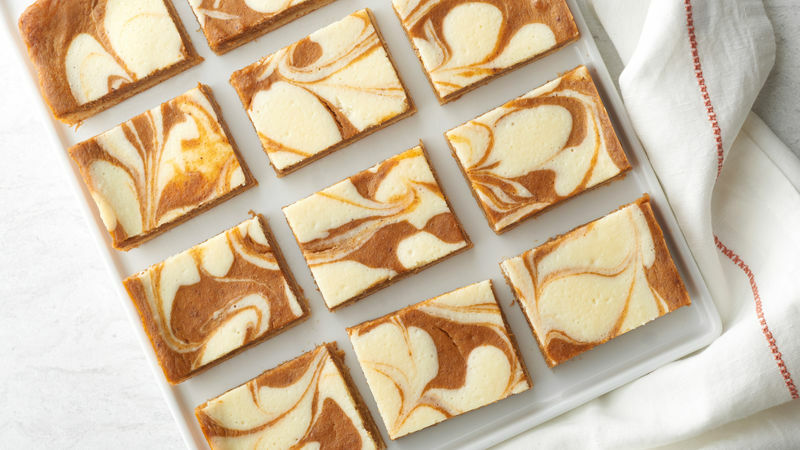 With metal spatula or knife, carefully swirl cheesecake filling into pumpkin mixture to create marbled look. Bake 37 to 42 minutes or until center is set. 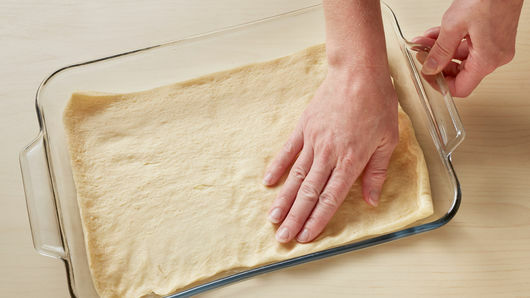 Cool 30 minutes; refrigerate about 2 hours or until chilled. Cut into 6 rows by 3 rows to serve. 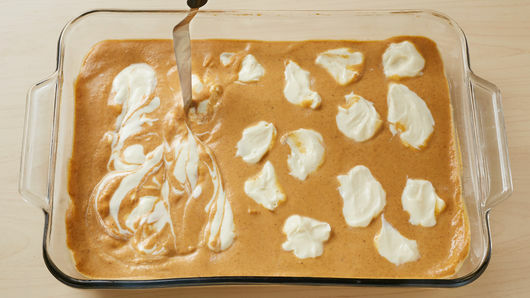 When swirling cheesecake mixture into pumpkin, make sure spatula or knife doesn’t cut through bottom dough layer.